An ideal accompaniment to your iPod. 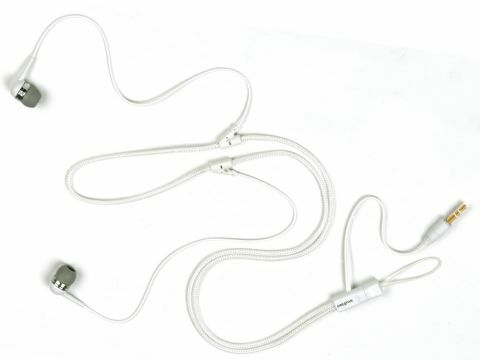 The iPod's ear buds might be almost as ironically white as the iPod itself, but they lack the definition of top quality headphones and can't produce the sort of bass demanded by many. Creative's in-ear solution blows away the preconception that the iPod itself lacks bass by delivering power and quality in abundance - and they still come in classic white. The clarity and punch of the EP-635s are comparable to more high-end in-ear solutions like Etymotic's ER6s and even quality noise-cancelling 'surround' earphones costing £100. Tested with a variety of musical genres, the EP-635s reveal details barely detectable with similarly priced headphones - and they're only 16 ohms.